Thanks for your interest in a data processing agreement with Positive Words Research. If you have additional questions regarding data processing with Positive Words Research, please briefly describe your needs using our contact page. 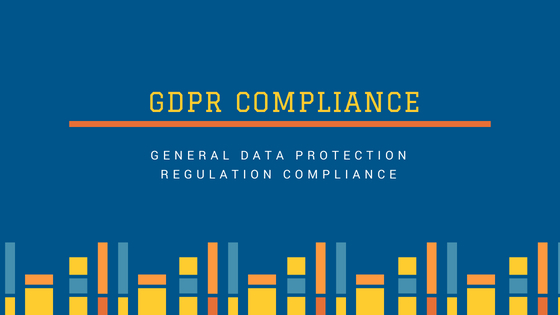 Positive Words Research is committed to compliance with the General Data Protection Regulation, and we offer tools to help with your compliance efforts. To learn more about this law, check out the below About the General Data Protection Regulation. You’ve probably heard about the General Data Protection Regulation (GDPR), and you might have a few questions about it. Here’s what we know about the law and how it affects MailChimp and our users. The GDPR is a European Union (EU) privacy law that affects businesses around the world. It regulates how any organization that is subject to the Regulation treats or uses the personal data of people located in the EU. Personal data is any piece of data that, used alone or with other data, could identify a person. If you collect, change, transmit, erase, or otherwise use or store the personal data of EU citizens, you’ll need to comply with the GDPR. The GDPR will replace an older directive on data privacy, Directive 95/46/EC, and it introduces a few important changes that may affect Positive Words Research users. You need to have a legal basis, like consent, to process an EU citizen’s personal data. Under the GDPR, you may use another legal basis for processing personal data, but we anticipate that many Positive Words Research users will rely on consent. This consent must be specific and verifiable. The GDPR also outlines the rights of individuals around their personal data. EU citizens will have the right to ask for details about the way you use their personal data and can ask you to do certain things with that data. You should be prepared to support people’s requests in a timely manner. People have the right to request their personal data be corrected, provided to them, prohibited for certain uses, or removed completely. What is Positive Words Research doing to prepare? We have modified many of our internal practices and policies because we are committed to compliance with the GDPR. We’re also in the process of building and releasing tools that will make it easier for our users to handle their customer’s data appropriately. Also we repeat that if you need to communicate in any way with us related to our website the official contact is our contact page. Positive Words Research offers tools related to consent and individual rights to help you comply with the GDPR. We encourage you to consult with legal or other professional counsel about your GDPR preparations. Transparent data processing is mandatory, and it’s also an opportunity to strengthen your marketing relationships. We’ve updated Positive Words Research signup forms to help you stay compliant with the latest laws. Related to the sign-up for our newsletter we only use MailChimp which is fully compliant with GDPR. To learn more about MailChimp permission data, check their Export Proof of Consent. To learn more about using MailChimp GDPR-friendly forms, check their Collect Consent with GDPR Forms. Related to the comments on this website we only use comments from Facebook which is fully compliant with GDPR requirements. Related to the Write for Us section each writer is sending his article and consent only on email, therefore, we fully meet GDPR requirement. All MailChimp subscribers and Facebook commenters can access their MailChimp subscription or Facebook comment to correct or update information upon their request. Your contacts can continue to update their own data, too, by contacting us or updating their preferences in any email they receive from you. We want to help our users prepare for the change, but it’s important to note that the GDPR’s provisions could affect your business outside of how you use Positive Words Research website.